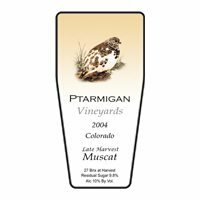 Now serving the Grand Valley, Ptarmigan Vineyards is the sister winery to Stoney Mesa Winery. We produce limited production premium wines as well as offer a limited selection of the Stoney Mesa Winery label. The Neal family invites you to visit and sample our fine line of award-winning wines. From CO Hwy 141 turn west on B Road. Drive 1 mile then turn north on 31 3/10 Road.